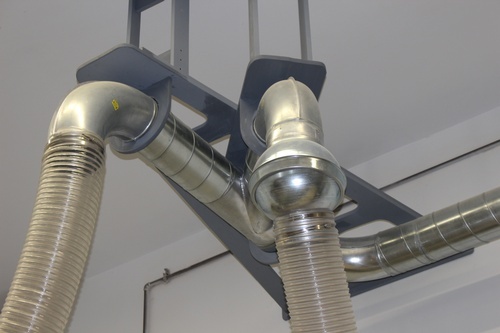 Air Handling Systems based in Woodbridge, Connecticut, manufactures dust and fume collection components including industrial ventilation spiral pipe; warehouses and distributes various flexible hoses, for a variety of commercial and industrial applications which include woodworking, aerospace, paper, pharmaceutical, chemical, plastics and HVAC. Our fully stocked warehouse, in conjunction with our high-tech full service fabrication facility, provides you with the most rapid production in the industry for spiral pipe, fittings, and flexible hose. Before you say, “I can’t afford a dust collection system or fume collection system” or “I can’t wait months for delivery,” we can help you make it possible! We have solved the dust collection system affordability problem.